I haven’t added an entry for several days. I had a busy weekend and the only free time was taken up watching the amazing battle between Australia and England in the Fifth and deciding Ashes Cricket Test. Watching cricket is another of my passions. I often accompany my daughter Rose to the test cricket at the world’s most beautiful cricket ground, the Adelaide Oval. My only observation of note today was hearing a Horsfield’s Bronze-Cuckoo near the house. Try as I might I couldn’t even get a glimpse of said cuckoo, never mind attempting to get a photograph. The first cuckoo of the spring I heard about two weeks ago and then only for a few seconds. Today’s individual hung around for about an hour. Spring is well and truly under way here in Murray Bridge. 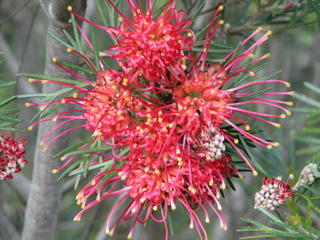 Many birds are busy breeding, native plants are flowering and exotics like roses are sprouting new leaves in profusion. We have a few vines are they are also showing their first leaves. 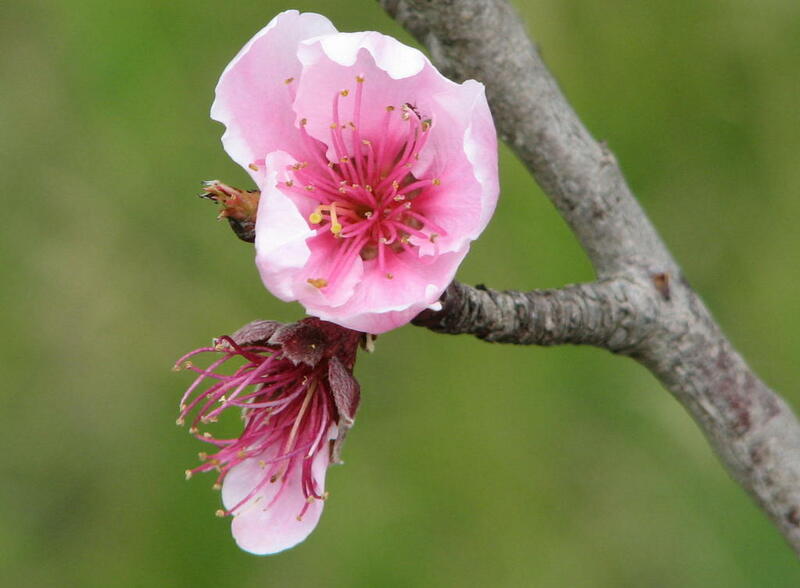 In our small orchard the fruit trees are either in blossom and have buds about to burst. The above photo shows a beautiful Nectarine blossom. 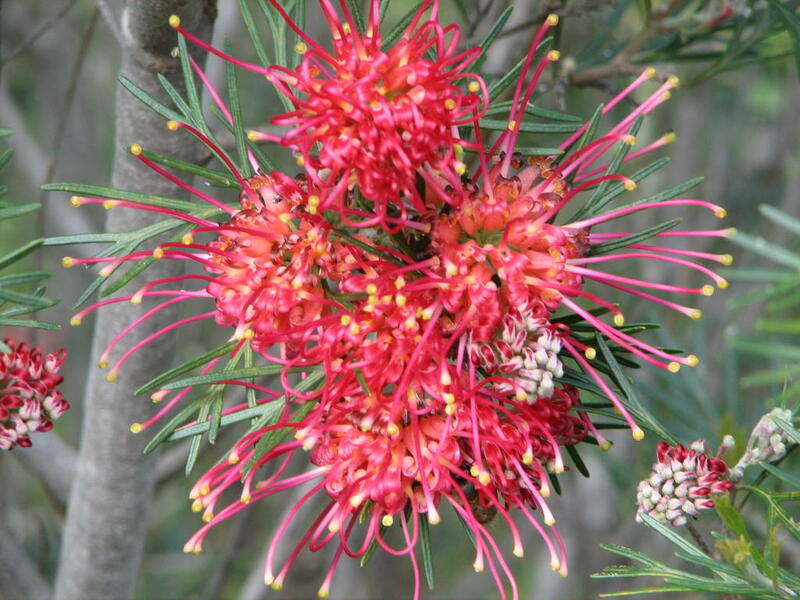 The second photograph shows the magnificent bloom of the Grevillea “Winpara Gem”, a popular Australian plant. 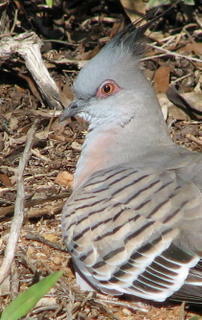 I have noticed that the Crested Pigeons are not very conspicuous at present. I wonder if they are nesting somewhere? I must have a good snoop around tomorrow. 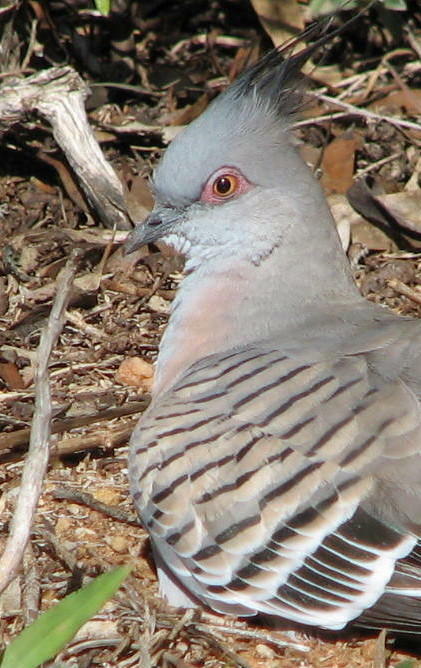 Meanwhile, here is another beautiful photograph of one of the local Crested Pigeons sun-bathing near the house last week.